SpaceX successfully launches NASA cargo into space, containing experimental equipment including a supercomputer and an AR device, intended for the ISS. Elon Musk‘s SpaceX successfully launched another Commercial Resupply Services mission (CRS-12) yesterday, August 14th–the first for the company in over a month. 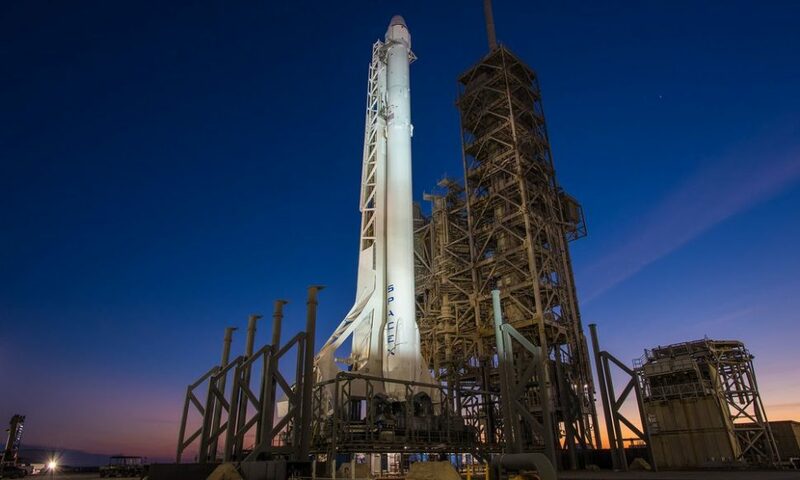 One of SpaceX’s Falcon 9 rockets was launched from the historic Pad 39A at the NASA‘s Kennedy Space Center (KSC) in Florida yesterday at exactly 12:31 P.M. EDT. The rocket carries a robotic Dragon capsule and is headed for the International Space Station (ISS). The Dragon capsule is loaded with over 6,400 pounds of cargo and is considered the most significant to NASA in terms of scientific impact according to a report from TechCrunch. Under normal circumstances, the Dragon is typically loaded with supplies for the astronauts. However, this recent cargo delivery is intended for a range of experiments to be conducted by researchers on board the ISS during this year and in 2018. The load includes a supercomputer from Hewlett Packard Enterprise, an AR system to help astronauts improve their general efficiency, and an experiment to measure cosmic ray particles in space called Cosmic Ray Energetics and Mass, to name a few. Aside from that, NASA also added ice cream and other treats for the astronauts aboard the ISS. Yesterday’s Falcon 9 rocket launch was the first after a month-long break of SpaceX from spaceflight. A report from the Verge stated that the break was attributed to a temporary closure for the maintenance of the Eastern Range–the areas on the U.S. East Coast that support rocket launches. Unfortunately, that includes the Cape Canaveral Air Force Station and Kennedy Space Center in Florida where the launch took place. NASA Spaceflight reported that the maintenance was completed on July 18th. The Falcon 9 rocket was launched without any problem, and the Dragon was deployed from the second stage as planned. Dragon will orbit the Earth for a few hours and will rendezvous with the International Space Station on August 16th, a Wednesday. The cargo will be captured using the station’s Canadarm 2 robotic appendage and will then be attached to the rocket. It is estimated that after a month or so, Dragon will be sent back to Earth from the ISS with around 3,000 pounds of returned cargo. It is expected to splash down in the Pacific Ocean where it will be recovered. Nine minutes after its launched, the Falcon 9 was successfully recovered, and it perfectly landed at Cape Canaveral. This will also be the last time that the company will be using brand new Dragons in its mission. According to SpaceX, all future CRS missions to resupply the ISS will make use of re-used Dragon capsules. What can you say about this latest achievement from Elon Musk’s SpaceX? Let us know in the comment section below!